We have become accustomed to retailers leaking video game release dates by now. This time, Amazon USA listed Scalebound for April 28, 2017, which is an entirely plausible launch date. Scalebound is PlatinumGames’ new action roleplaying game for Windows 10 PC and Xbox One. It’s an exclusive for Microsoft platforms and recently, creator Hideki Kamiya (Resident Evil 2, Devil May Cry, Viewtiful Joe, Okami, Bayonetta) commented that Microsoft gave a lot of support during development. In the game, main character Drew and his dragon Thuban are bonded (if any one of them dies, so does the other) in their exploration of Draconis, the world where Scalebound takes place. Thuban cannot be controlled directly, but players can issue certain commands to ask him to perform specific actions; he can also be customized in both appearance and skill set. As with any action RPG, the power of Drew and Thuban will increase during the adventure thanks to loot and levelling up to access new skills, though there will be no crafting. There won’t be enemy scaling, which should make several RPG fans happy. 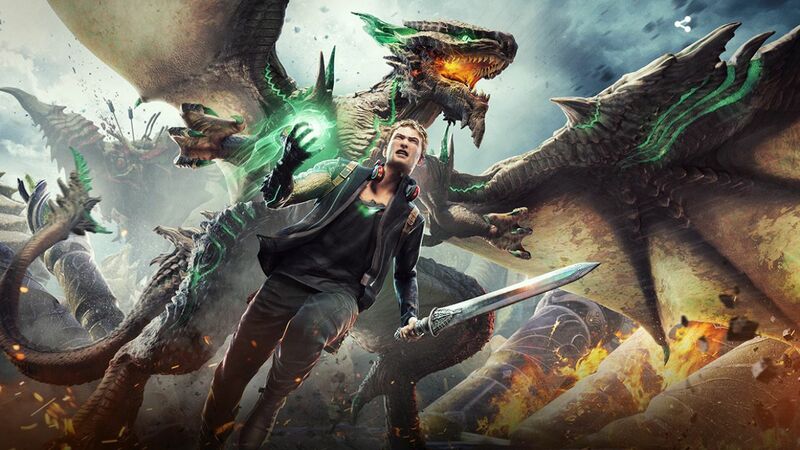 Scalebound won’t be exclusively a solo adventure, as well: PlatinumGames added a cooperative mode, allowing up to four players to tackle stronger challenges together; you can check out the official multiplayer trailer from E3 2016 here, in case you missed it. The developer also mentioned dynamically-generated quests based on “play style” and user activity, which should provide plenty of content. Finally, Scalebound will be a part of the Xbox Play Anywhere program. That means that you may switch between devices (Xbox One and PC) while retaining all of your progress; there has been no mention of cross-play so far, though.